Krugman said there’s a decent chance the world economy is headed for a recession this year and not for a soft landing as other economists expect. Krugman said there are good reasons to be skeptical about the soft landing scenario, he told his audience at the World Government Summit in Dubai. 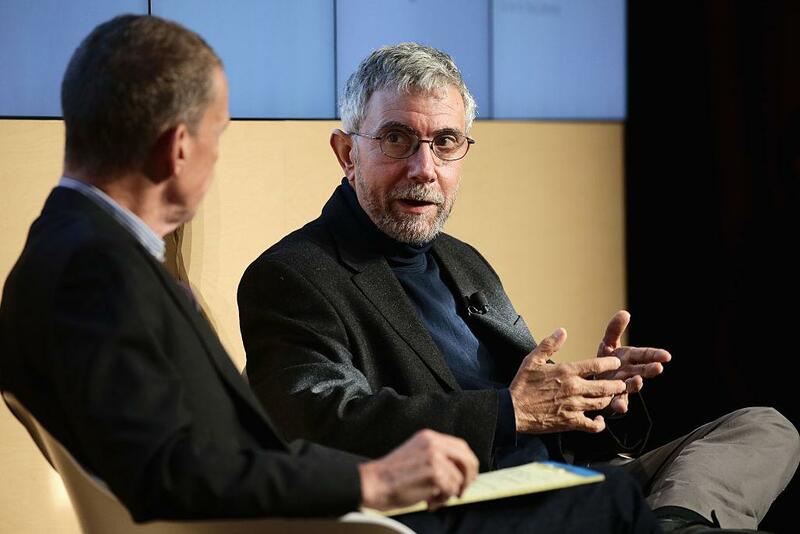 "I think that there is a quite good chance that we will have a recession late this year (or) next year," replied Krugman to when asked if investors should expect to see a recession in the coming months. Krugman said it's unlikely just "one big thing" will trigger an economic downturn. Instead, a range of economic headwinds will increase the likelihood of a slowdown. He underscored president Donald Trump's massive tax cut stimulus that went into effect in 2018 as one area of concern, saying the tax cuts that mainly benefited the rich and corporations was "not very effective." Krugman also warned it was "starting to look like the bubble (caused by the tax cuts) may be deflating" when it comes to tech growth. Tech stocks took a heavy hammering on Wall Street in the fourth quarter of 2018. That bleeding continues today. "The main concern has always been that we don't have an effective response if stuff slows down," said Krugman in reference to a recession. "The place that looks really close to recession right now is the euro area," he noted.